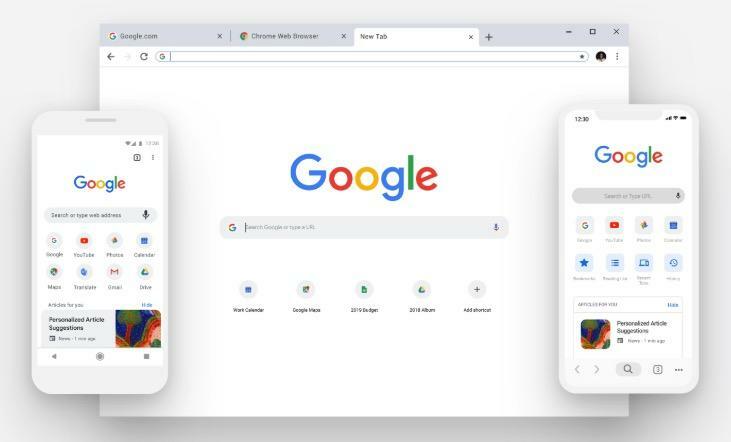 To celebrate 10 years of Chrome, Google this week introduced major updates to the popular browser, including a more powerful password manager, an improved omnibox, and a fresh new look. Google is rolling out the updates to the desktop, iOS, and Android beginning Tuesday. Google says it changed the shape of Chrome's tabs with more rounded corners, making it easier to see website icons. This, in turn, should make it easier for users to manage the tabs they have open, according to Google. As part of the redesign, Google is also making making Chrome easier to personalize. For example, Chrome now allows users to create and manage shortcuts to their favorite websites (ahem). You can even set a custom picture as a new tab's background. Meanwhile, Google is improving the behavior of Chrome's omnibox (where you type in URLs and searches). Now, Chrome will show answers to questions right in the address bar. If you type in "definition of somnambulant," for example, you'll get your answer without being directed to another web page. "From rich results on public figures or sporting events, to instant answers like the local weather via weather.com or a translation of a foreign word," Google says in a blog post. Finally, if you rely on Chrome to manage and autofill your passwords, you'll see improvements there, too. Chrome will now generate passwords for you, so you're not using the same one for multiple websites. The browser will also be better at autofilling information like credit card numbers, addresses, and passwords. Google is rolling out its big 10-year Chrome anniversary update for desktop, Android, and iOS now.